Photo Caption: Brian Maher of Sparta, NJ, Vice President, Career Services, Berkeley College, recently was inducted as a Fellow of the Lead New Jersey Class of 2017. Brian Maher of Sparta, NJ, Berkeley College Vice President of Career Services, recently was inducted as a Fellow of the Lead New Jersey (LNJ) Class of 2017. The ceremony took place on December 8, 2016, at Stockton University in Galloway Township, NJ. 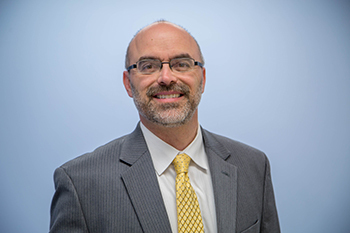 As Vice President of Career Services, Mr. Maher is responsible for providing leadership, vision, and support to the Career Services staff at eight Berkeley College campuses and Berkeley College Online®. He was the Berkeley College Athletic Director for five years prior to this appointment, during which time he expanded the number of athletic programs available to students from two to 13, led the College’s membership into the United States Collegiate Athletic Association, and secured six conference championships. Mr. Maher also has served as Director, Student Development and Campus Life, at the Woodland Park campus, and as Director of Alumni Relations. Before joining Berkeley College, he was the Marketing Coordinator for Bogen Communications, Inc., and a Classified Sales Representative at the New York Daily News, LP. Mr. Maher served as President of the Hudson Valley Intercollegiate Athletic Conference from 2010 to 2013. He currently serves on the Championships Sub-Committee for the United States Collegiate Athletic Association. He was inducted into the Phi Alpha Theta National History Honor Society in 1990 and the Pi Gammu Mu International Honor Society in Social Science in 1991. He holds a B.A. in History from Le Moyne College in Syracuse, NY. LNJ opens challenging possibilities to a highly select group of Fellows who learn cutting edge issues shaping our lives, link directly with talented leaders who make improvements around New Jersey, and lead as champions of their own cherished ideas and values. More than 1500 Fellows have completed the program. To see a high resolution image of the above photo, click here.